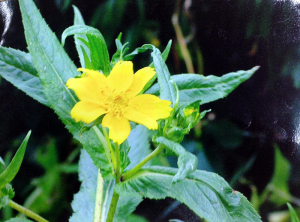 Observation - unid yellow flower - UK and Ireland. Description: Unid yellow flower. Uploading on behalf of someone else, grows quite prolifically in his garden. Height is about 4-5 feet tall. Unid yellow flower. Uploading on behalf of someone else, grows quite prolifically in his garden. Height is about 4-5 feet tall.